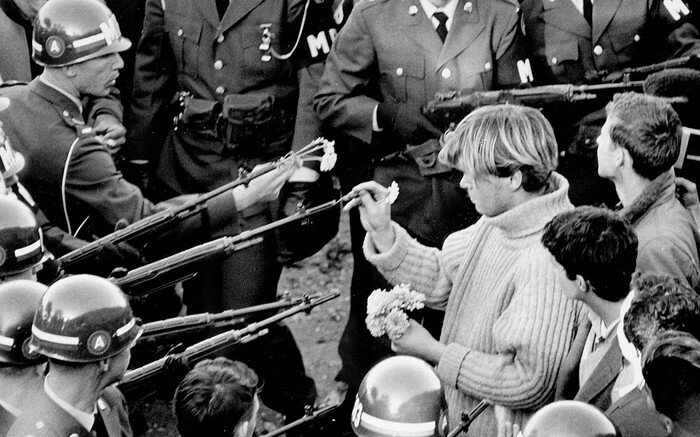 The people are giving flowers to the guards. 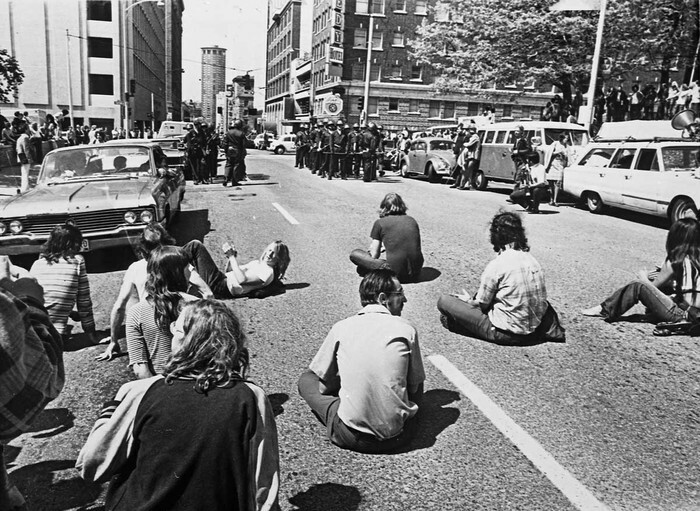 Hippies are not letting the guards pass through and they sat in the road. 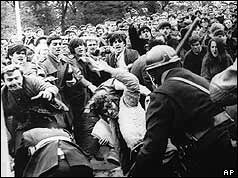 The police officer shoves the hippie back because he is to slow. 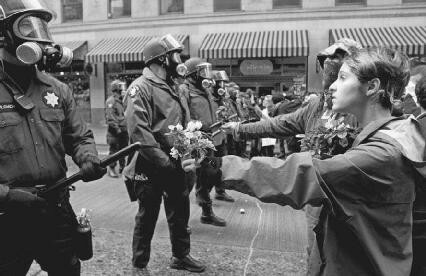 This is a hippie is putting flowers in all the officers guns.